Find support to build a business case for your diabetes prevention strategy and create a best of class program. Our collection of research, briefs, white papers and clinical guidelines will elevate your knowledge about prediabetes and diabetes prevention. Explore our case studies to learn best practices on implementing a National Diabetes Prevention program (or National DPP) lifestyle change program. 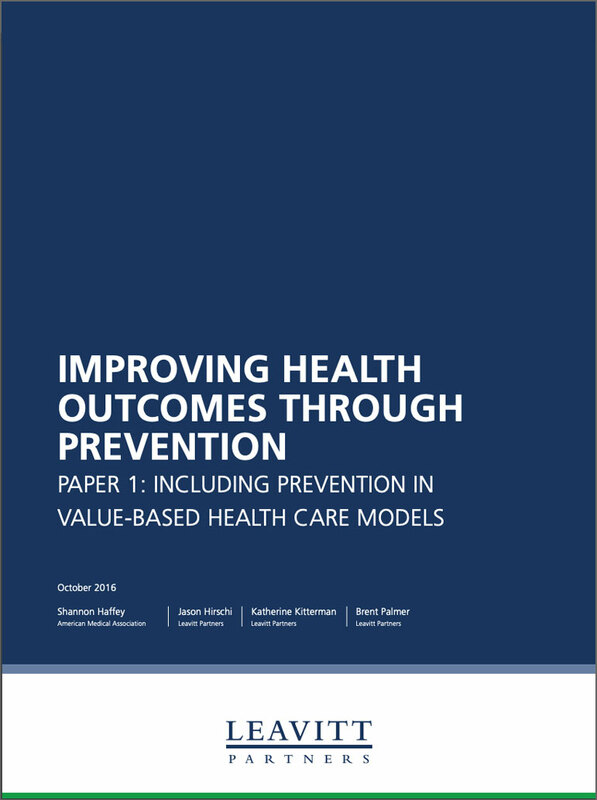 Supporting the theory that effectively identifying and addressing the health needs of the rising-risk population will lead to overall population health gains, the AMA and Leavitt papers authored the perspective paper, “Improving Health Outcomes through Prevention: Including Prevention in Value-Based Health Care Models”. 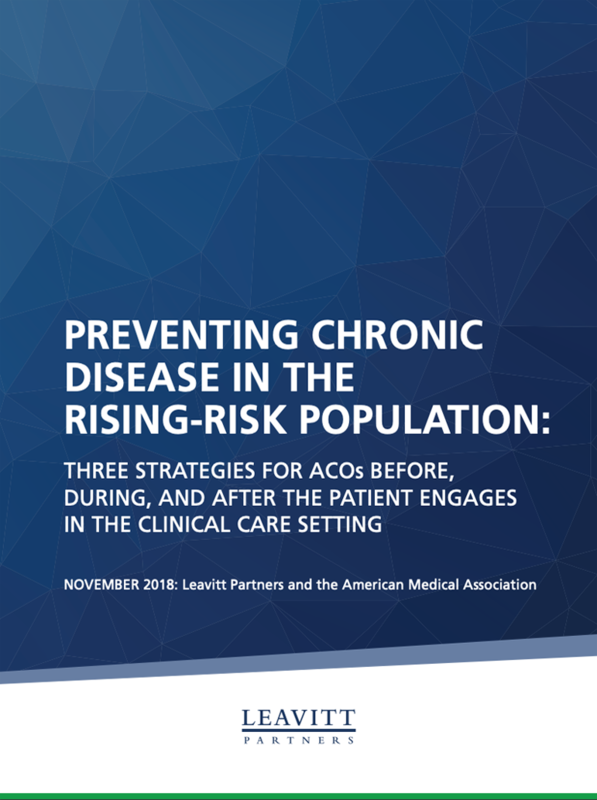 The AMA and Leavitt Partners authored this perspective paper, “Preventing Chronic Disease in the Rising-Risk Population: Three Strategies for ACOs Before, During, and After the Patient Engages in the Clinical Care Setting,” to outline strategies for health care organizations working within an alternative payment model to target the rising-risk population. 1. Identifying the rising-risk index of patients. 2. Rethinking care strategies to address non-clinical factors that affect clinical outcomes, such as social determinants of health. 3. Connect rising-risk patients to behavioral and lifestyle change support groups. There is good evidence that individualized Medical Nutrition Therapy (MNT) provided by a registered dietitian nutritionist (RDN) is successful in deterring the progression of prediabetes to type 2 diabetes. Because most health coaches in trials supporting the National DPP were dietitians, many DPPs currently employ RDNs to deliver the diabetes prevention curriculum and monitor participants' progress. Dietitians who provided individualized MNT in these trials demonstrate the use of the extended care team in partnering with patients to prevent type 2 diabetes.